English Country House Timbers - What is Appropriate? Up until the early 20th Century, the typical English country house was principally built from timber, stone and brick; simple when compared to the plethora of material types, fixtures and fittings available to today’s architect. Of the timber choices available to those building country houses in the 18th and 19th centuries, the most common were European Walnut, Mahogany, Russian Deal, English Oak and English Elm. These timbers had different roles to play in the make up of the English country house, with Walnut and Mahogany being favoured for the more decorative elements and Russian Deal, Elm and Oak for the more constructional. Each had their part to play. Fast forward to today, and most clients renovating a country house are increasingly sensitive to the original materials used to build it. But are the original timber species used still available, and what are the alternatives if they are not? Then: Until the early 1700s Walnut was by far the most popular of the decorative hardwoods for use in English country houses. It had a soft colour and an interesting grain. But access to fine quality walnut ceased after 1709 when the Great Frost, the harshest European winter for 500 years, killed off much of the walnut stock in France. 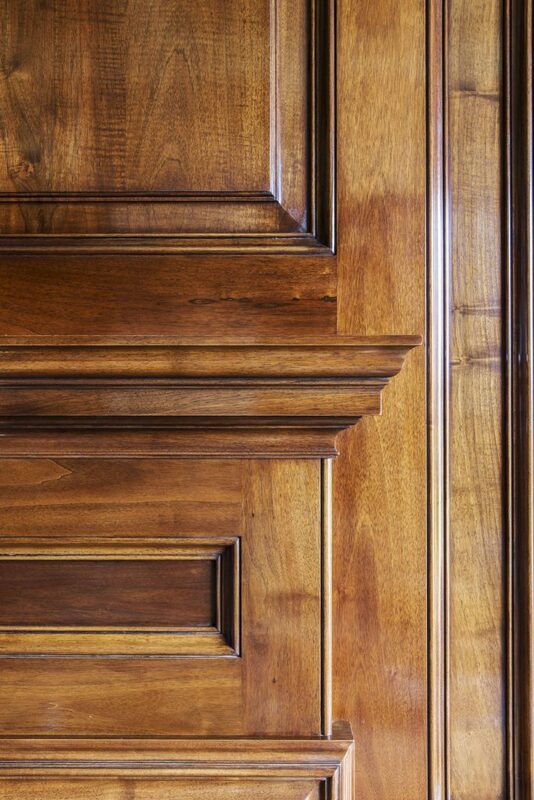 This triggered English cabinet-makers to look elsewhere for alternatives, with mahogany proving the outright winner. In 1721 the British Parliament removed all import duties from timber imported into Britain from the British colonies, instantly stimulating the trade in West Indian timbers including, most importantly, mahogany. With no competition from walnut, imports of mahogany into England rose from 525 tons a year in 1740 to more than 30,000 tons in 1788. In a relatively short period of time, mahogany had become the most popular timber for luxury furniture and architectural joinery in the country houses of England. Now: Mahogany is no longer imported from the Americas although we do have old stock on supply which is reserved for very specific country house projects and feature architectural joinery doors. The only true mahogany currently imported into the UK is African Mahogany which is lighter in colour than Brazilian or Cuban mahogany which tend to be very dark orange. African mahogany also has a slightly wilder grain pattern. Between the two, our timber of choice would always be European Walnut for its softer colouring, its figure and its provenance. French polished Italian walnut in a library project designed by Artichoke. Then: Russian deal is a high quality softwood grown in the Baltic regions of northern Russia, typically from Archangel and Onega. It is slow grown, tall, straight and dense, and with its fine grain is ideal for making hand painted interior architectural joinery. It was considered poor for exterior use however, with Rivington’s Building Construction Guide (published in 1875) declaring it unfit for work exposed to the damp shores of the UK. A more in depth piece on Russian Deal was written by us a few years ago, triggered by the BBC’s adaptation of War and Peace where much of the joinery in the wonderful period locations were made of this material. Now: Russian Deal is tough to get hold of, not because it is scarce but because the timber yards in Russia will only sell it by the boatload and the boards offered are only 1 inch thick. Specialist companies such as Artichoke are of no commercial interest to these yards. Scandinavian Redwood is the next best alternative. It’s almost identical albeit being a slightly smaller tree. Artichoke uses Scandinavian Redwood in listed country house projects where organisations such as Historic England require it or we feel it will benefit the feel of the final room and character of the furniture. The grain certainly looks good when over painted, and we have recently used it when designing and making a kitchen based around the National Trust’s kitchen at Lanhydrock House in Cornwall. Images from this project can be found here. The reason most furniture makers do not use Scandinavian Redwood is principally because of timber movement which can make it more unpredictable in modern homes with more aggressive heating set ups. 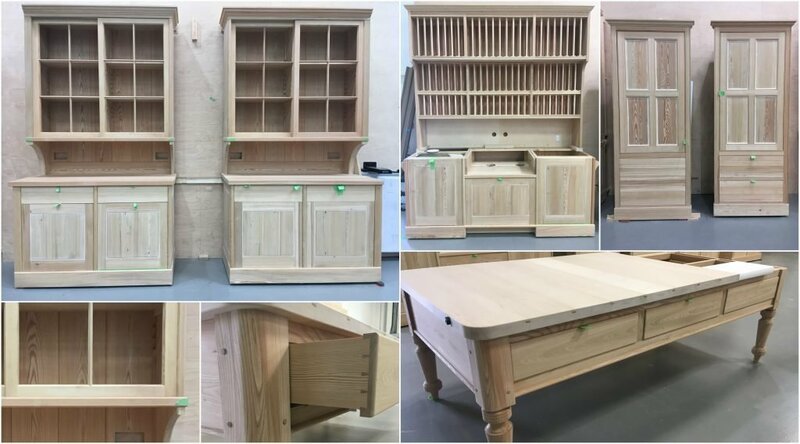 Poplar or tulipwood is (in our mind) a more sensible choice if the project is to have a crisp hand painted finish with no grain grinning through the paint. It is resin and almost knot free and dense if you buy it from the right sources. Separate elements of a kitchen designed by us in Siberian larch for a country house in Hampshire. The grain looks beautiful grinning through the paint surface. Then: English oak is rot resistant, making it ideal for exterior joinery and boat building (many Queen Anne and early Georgian English country houses feature repurposed supporting oak beams which once formed part of our naval fleet). 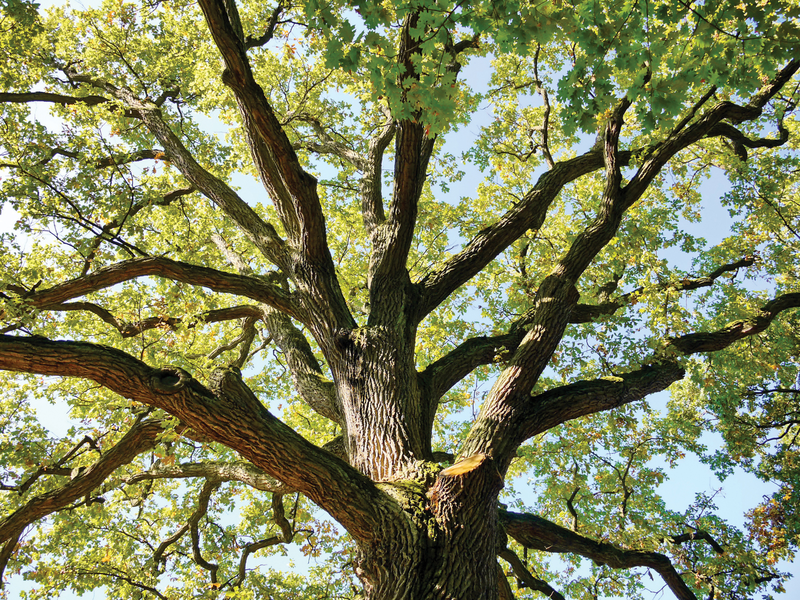 Oak’s ability to resist rot, combined with its immense strength and availability, made it the perfect building material for timber framed houses, and many of the originals are still standing. Of course, much of England’s ancient forests are either now protected or gone. Now: English oak is very much readily available in the UK, although it tends to be farm or estate grown, meaning the trees have not been cared for as a commercial commodity would typically be. This makes the quality of the available material quite unpredictable and inconsistent for interior furniture such as libraries or room panelling. Our climate in Northern Europe also means English oak trees grow slowly with wild grain patterns often being a feature. English oak is also a darker shade of brown than European oak and, combined with wild grain patterns and knots, can make the furniture appear quite rustic without careful selection. At Artichoke we prefer oak from southern France where our oak trees are grown commercially and therefore managed as a crop. Buying oak for a project from the same single stand in the same area of a woodland also gives us the confidence in knowing we will receive a high quality product with a consistent honey colour throughout. Having an excellent relationship with your supply chain is vital if the work is to stand the test of time for hundreds of years. English Oak also makes an excellent flooring material; it ages beautifully and is hard wearing. Our friends at Weldon Flooring are worth talking to if you are working in an historic or new build English country house in need of a beautiful oak floor. 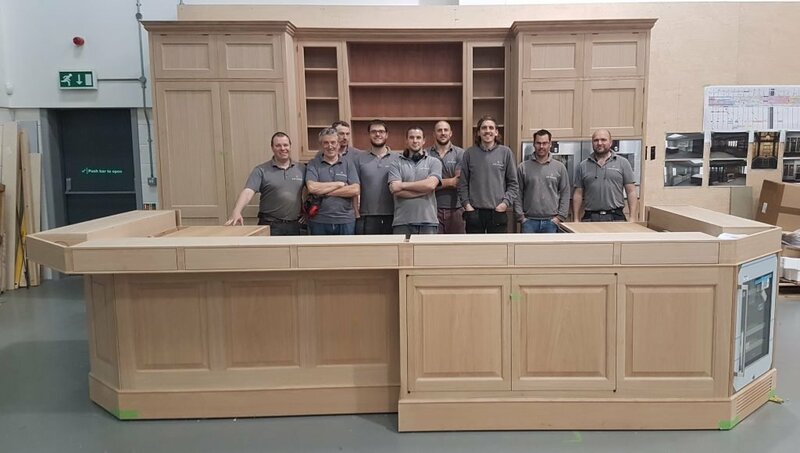 This large kitchen was made from carefully selected European oak. There is a magical consistency in the grain of European Oak which would be much harder to find in English Oak. Then: Like English Oak, English Elm is known for its rot resistant qualities making it suitable for exterior work. As one of the largest deciduous trees in the UK, it was commonly used as a building material for roof frames and supporting beams. While extremely strong with an immense ability to withstand crushing forces, it was not as popular as English oak because it tends to move and split. This is the reason that smaller English country houses, and those with agricultural links, tended to favour English Elm. In the smaller English country house, cost was a factor and you could get more out of the larger trunk. Now: Dutch Elm disease ravaged the UK’s population of English Elm between 1970 and 1990, and there are now few left, making English Elm pretty exclusive. The stock we now use for English country house work tends to be quite gnarled and rustic in appearance, so like English Oak it needs to be selected carefully. For a large English country house project we would nowadays consider European Elm, which is the same species but grown in Europe. Like oak, this material tends to be more consistent in its growth and straighter grained making it a good choice for doors and architectural joinery. 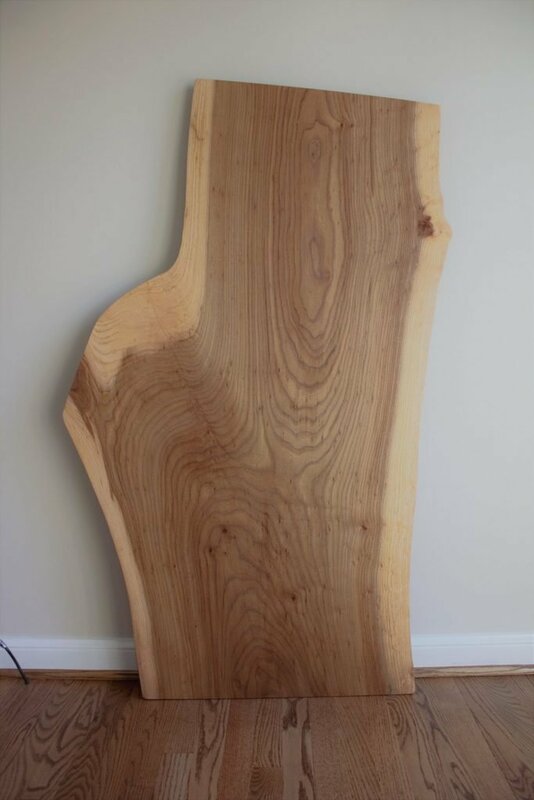 English Elm has a wild grain making it often too rustic for the grander English country house. So in conclusion, for clients renovating or building an English country house, it is entirely possible to use timber that is appropriate to the period or to the original building materials, although its origin of source may now be different to the original. If you are focussed on using the correct timber and materials for your country house project and are motivated to create furniture which will become an integral part of its architecture for many years to come, we’d love to hear about it! To discuss your project, email the Artichoke team at newprojects@artichoke.co.uk or call on +44 (0)1934 745270.